Chinese biologists have discovered an antibiotic that may have human applications in giant panda blood. Biologists in China have discovered that the blood of the endangered giant panda includes a compound called Cathelicidin-AM, which acts as a natural antibiotic. The nature of the blood compound makes it an attractive treatment for so-called superbugs, those strains of disease that have become immune or resistant to traditional antibiotics. Xiuwen Yan, of the Life Sciences College at China's Nanjing Agricultural University, said that "[Cathelicidin-AM] showed potential antimicrobial activities against a wide spectrum of microorganisms including bacteria and fungi, both standard and drug-resistant strains." The researchers also found that the blood compound kills bacteria in about an hour, as opposed to the six hours minimum required by other antibiotics. 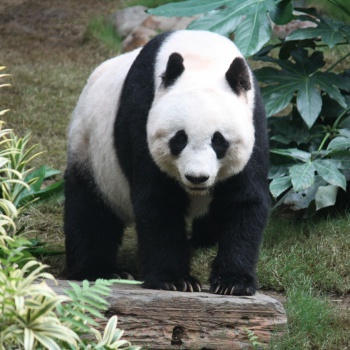 The scientists will not have to worry about the dwindling population of Giant Pandas, or rely on their blood, because they have found a way to synthesize Cathelicidin-AM in a laboratory environment. The compound is an antimicrobial peptide, which means that the secret to creating it is locked in the Giant Panda's genes. "Gene-encoded antimicrobial peptides play an important role in innate immunity against noxious microorganisms. They cause much less drug resistance of microbes than conventional antibiotics," said Yan. The biologists think that the compound could be used to develop either new drugs or new antiseptics for surface cleaning. Antimicrobial peptides have been found across multiple species as a basis for immunity, most notably in the mucous of snails and amphibians.